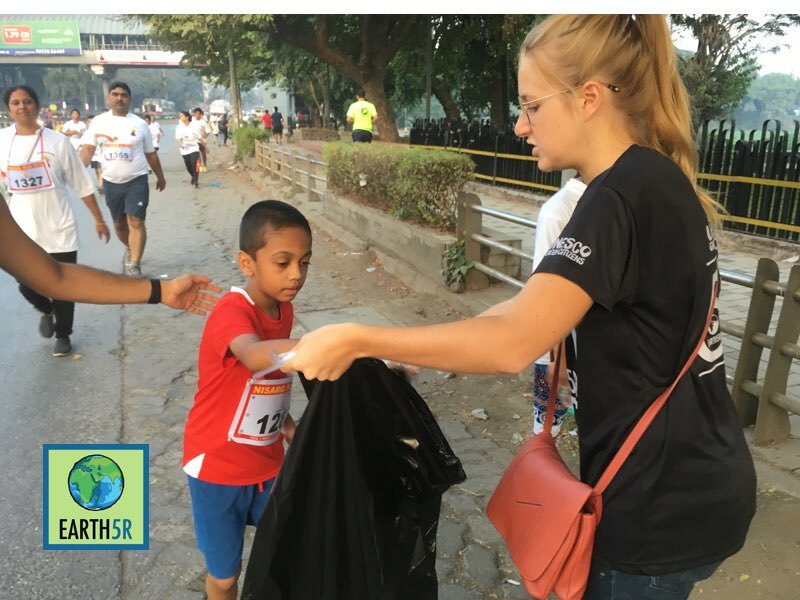 Yesterday early morning, on Sunday 25th November 2018, Earth5R team partnered with the Powai Nisarg Run to ensure the first zero-waste city marathon in India. Running a marathon is not just an athletic achievement, it is a state of mind that says everything is possible. If you have doubt about human nature’s ability to change, then go out and watch a marathon. We could perceive runners’ determination and faith in saving the lake. Not only did they hope for a better future, but they believe in it and act for it. Their courageous individual act reflect the entire community’s aspiration. 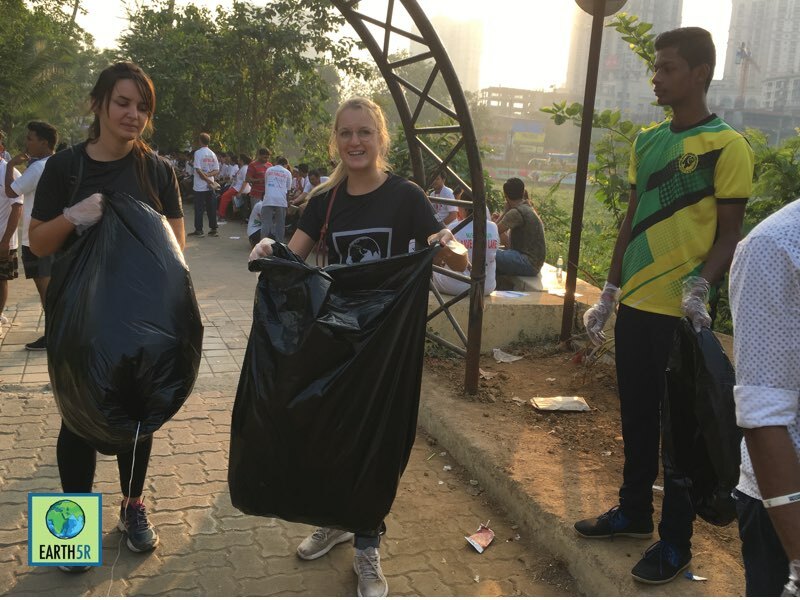 Inhabitants of Powai dream of a clean surrounding path where they could enjoy the view of a clean lake. If they could run a marathon, then everybody could do a little to save their cherished lake. 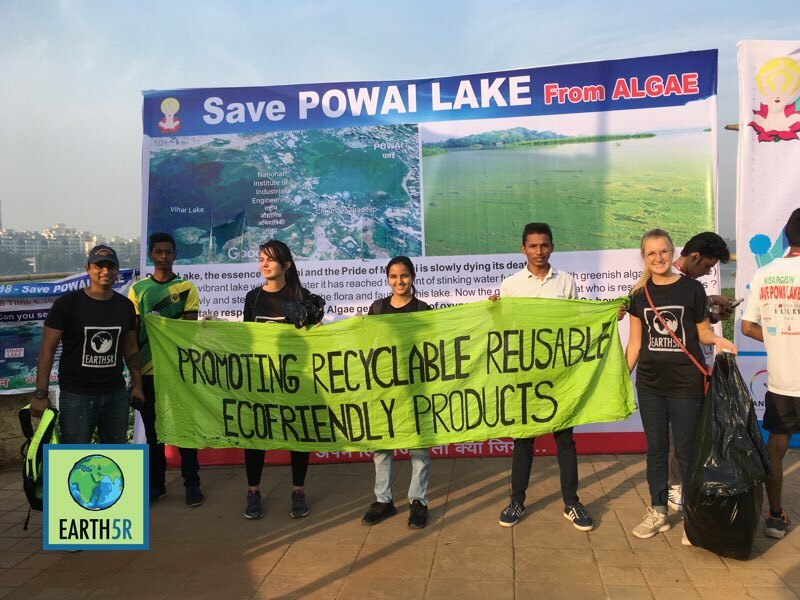 Earth5R team has enthusiastically encouraged the runners, shouting “Come on, you can do this” or “Save the lake!” or even “Chalo, chalo!.” The positive energy and great hope raised by the run has now to be transformed into concrete actions. 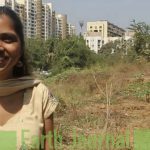 It has been almost an entire year now since Earth5R launched ACT Powai. 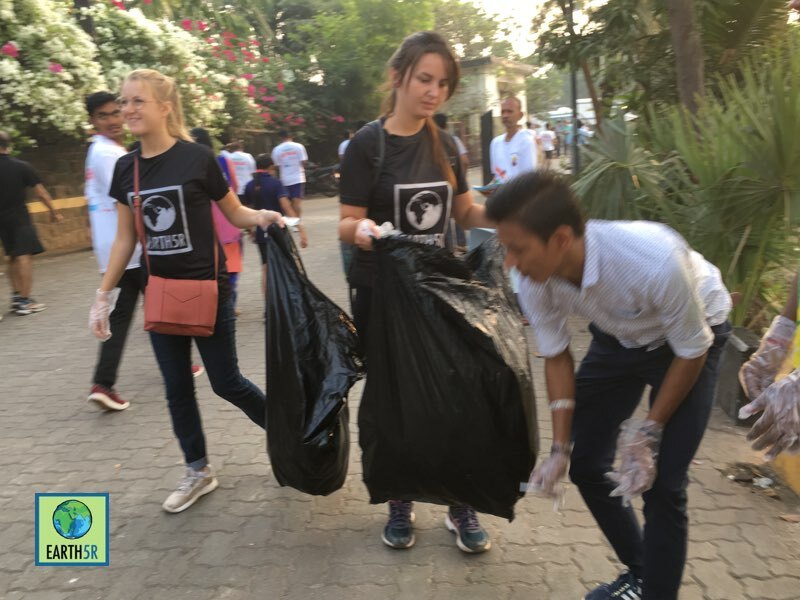 Every Sunday, Earth5R conduct clean-up at the Powai lake, and teach citizens how to segregate waste to compost or recycled. 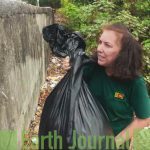 Every month, 250 Metric Tons of plastic is recycled and 600 Metric tons of organic waste is processed by Earth5R composting units. 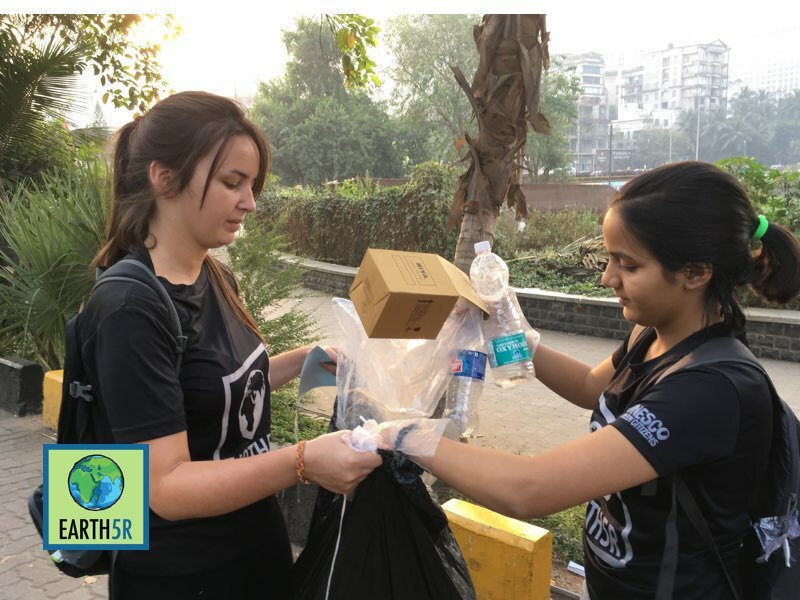 To deal with the waste produced by the event, Earth5R team which included Akanksha, Elisa Vallette, Camille, Saurabh Gupta, Chandrakant Chauhan and Omprakash, conducted a clean-up along the marathon route and meticulously segregated plastic and other type of non-recyclable waste. 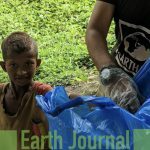 At the end of the clean-up, two bags, filled with plastic bottles were donated to rag pikers, providing them a livelihood. 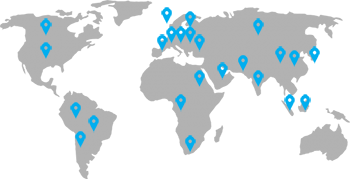 Our action inspired the participants to act on the long term to reduce their waste. 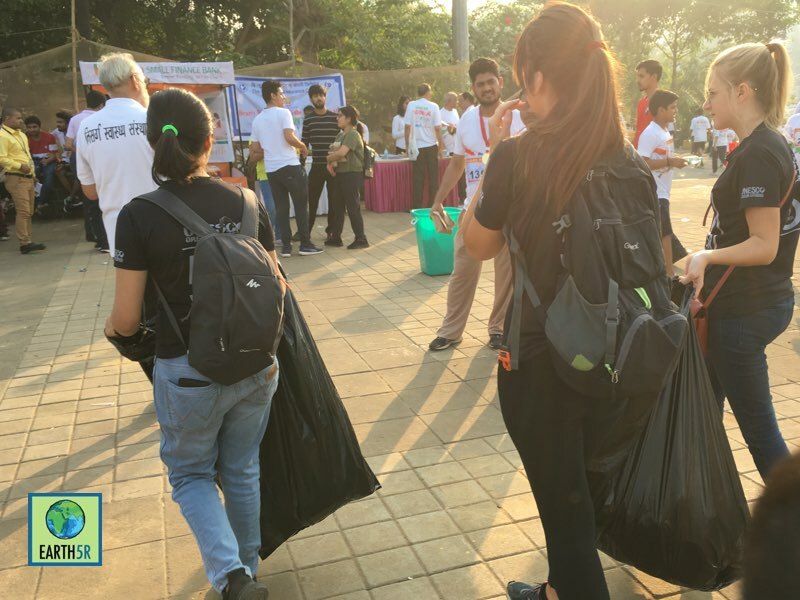 Many of them will join our weekly clean-up activities taking place at the Powai lake. 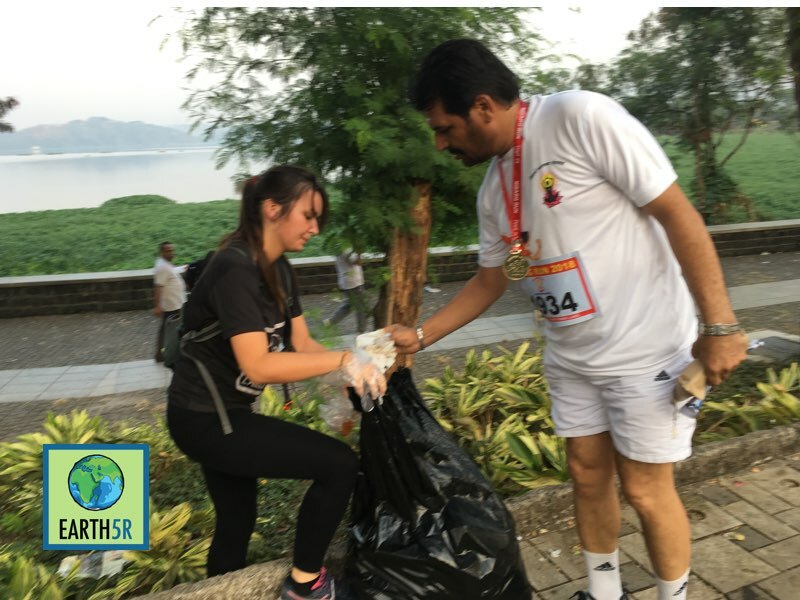 Therefore, the marathon with its positive social and environmental impact, aligns with Earth5R’s mission to make Powai sustainable, free of waste and poverty. Just as we encouraged the runners, we motivate all citizens to ACT for a positive change, to become involved and start doing – because a community of people who care deeply for one another and the environment in which they live is good for everyone. As the sun rose, the number of runners crossing the finish line increased, along with our ambition to create a sustainable world driven by citizen’s actions. 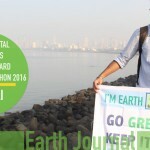 Earth5R would like to thanks the runners and organizers of this truly green marathon. Like them, Earth5R believes in citizens’ ability to positively change their environment. 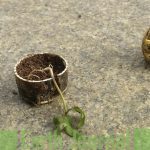 Religious Waste Near Powai Lake – Why Does it Matter? 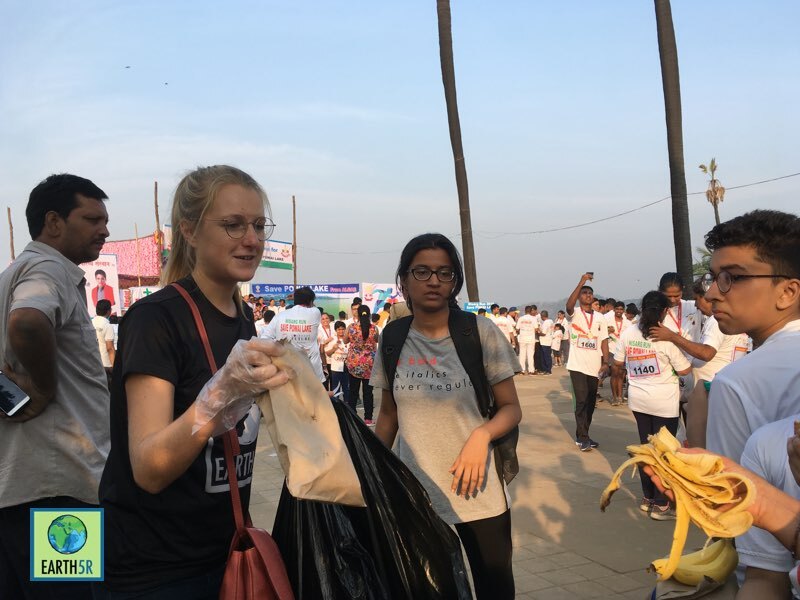 No Replies to "India’s first zero-waste city Marathon in Mumbai"